It’s sometimes hard to put technology aside and force yourself out in nature. You know it’s good for you but you just need a little inspiration. This is where the books by the American hiker and photographer Jeffrey Ryan can be the right dose of motivation you need. His passion for hiking is so contagious that you can’t but discover your personal meaning of spending time outdoors. What is his secret to a happy life, what is the best way to slow down and enjoy it and what are his best tips on exploring nature on foot – here is what Jeffrey Ryan shared in a special interview for 203challenges.com. – Who is Jeffrey Ryan, and what are his dreams? – I am a writer, hiker, historian, public speaker and photographer. My secret blend of rocket fuel is one part nature and one part inquisitiveness. I am happiest traveling trails and backroads in search of whatever is around the next bend. I most enjoy slowing life down to about 2 miles per hour, hiking on a trail in the wilderness where I can rejuvenate. My experiences, now covering thousands of miles, have been so meaningful to me that I write books about them. More than anything, I hope to inspire others to set technology aside for a while and discover the joys of being in nature. – What’s the most important thing hiking gives you? – Hiking gives me the opportunity to engage so many aspects of my mind and body. I guess the best way to describe it is that it makes me feel complete. One of the greatest things hiking has taught me is that you need to be able to plan ahead, yet you need to be nimble. For example, you may plan your whole trip on doing a certain number of miles per day, but the weather may require you to change plans. Or you may need to take a longer side trip to find water than you had planned. These things require you to problem solve on the fly and to be content with the decisions you made. It’s a great skill to have whether you are in the mountains, sitting at a desk or anywhere really. When I revisit things that made me frustrated, I often find out that it was because I was trying to hold onto a pre-conceived plan. The sooner I realize that all plans are subject to change, the better my experiences become. 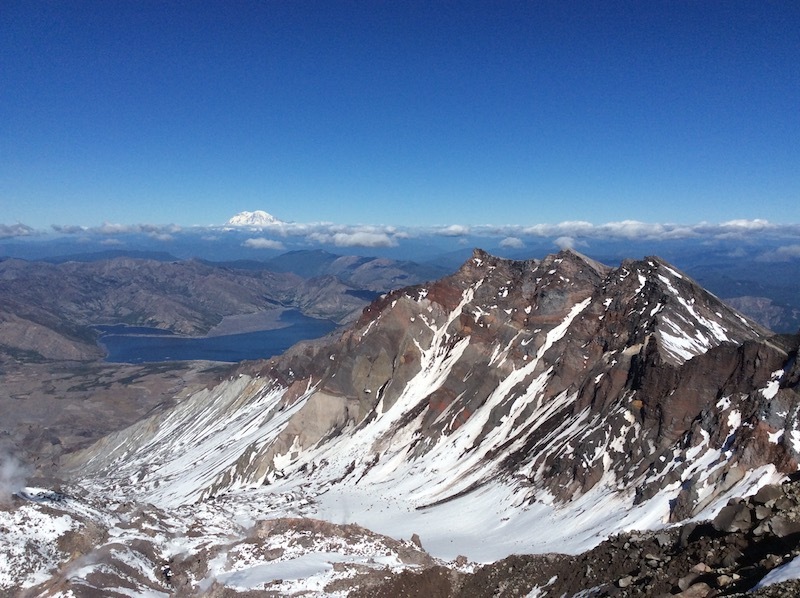 View from summit of Mount St. Helens. Mount Rainier can be seen in the center, beyond Spirit Lake. ©2018 www.JeffRyanAuthor.com. – Can you tell us a story that is a living example of your hiking style? – My hiking companion, Wayne, and I did a trip on the Appalachian Trail in Vermont. When we arrived at my truck, which had been parked on a remote woods road for ten days, it wouldn’t start. Further investigation showed that a porcupine had spent several days in my engine compartment and eaten most of the rubber hoses — radiator hoses, the brake line, the gas line, etc. While we were not still on the trail per se, we still employed the trail mentality. We were in a jam and needed to fix it to complete our trip. It was the need to be nimble in action. I write about it in my first book, Appalachian Odyssey: A 28-year hike on America’s trail. Come to think of it, that whole book really exemplifies my hiking style. Wayne and I couldn’t take the several months off from work necessary to hike to Appalachian Trail in one go, so we poked away at it in smaller trips. It took almost three decades to cover the 2,100 miles, but we got it done. It was one of the most fulfilling adventures of my life. – Hiking poles. I don’t know what my knees would be like without them. They take the strain off my knees on downhills and make stream crossings easier. As an added bonus, I just got a solo tent that allows me to use my hiking poles instead of tent poles. I can leave the tent poles at home and save pack weight. – Your latest book, Blast: My Return to Mount Saint Helens, is about Mount St. Helens after the volcano eruption in 1980. What makes this topic so important to you? 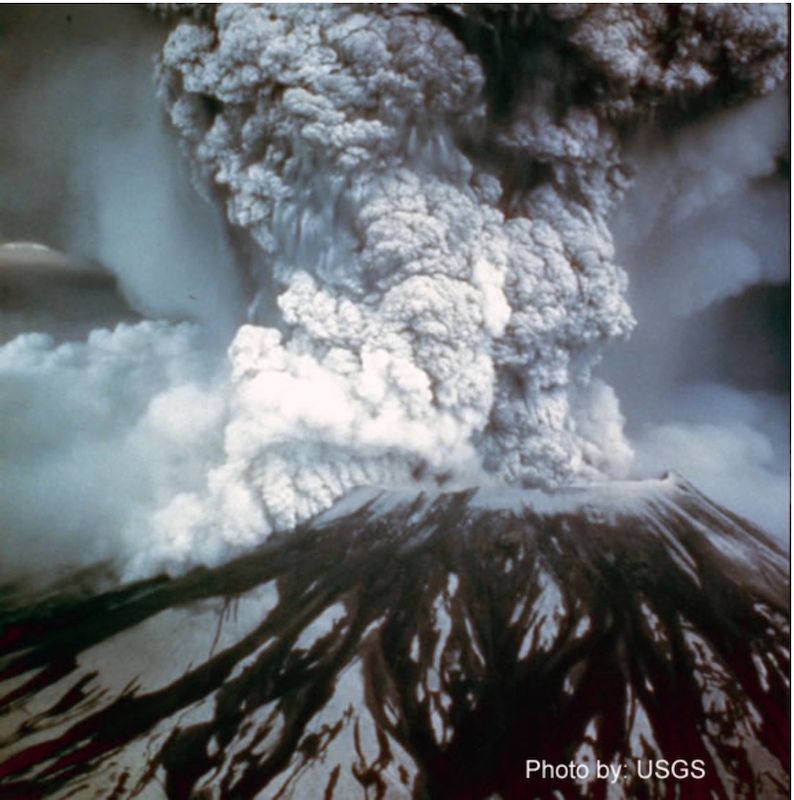 – Mount St. Helens erupted the day I graduated from college. I’ve felt a strong connection with the mountain ever since. In 1987, the first year people were allowed back on the mountain, I climbed up to witness the devastation the blast had caused. It was unbelievable. 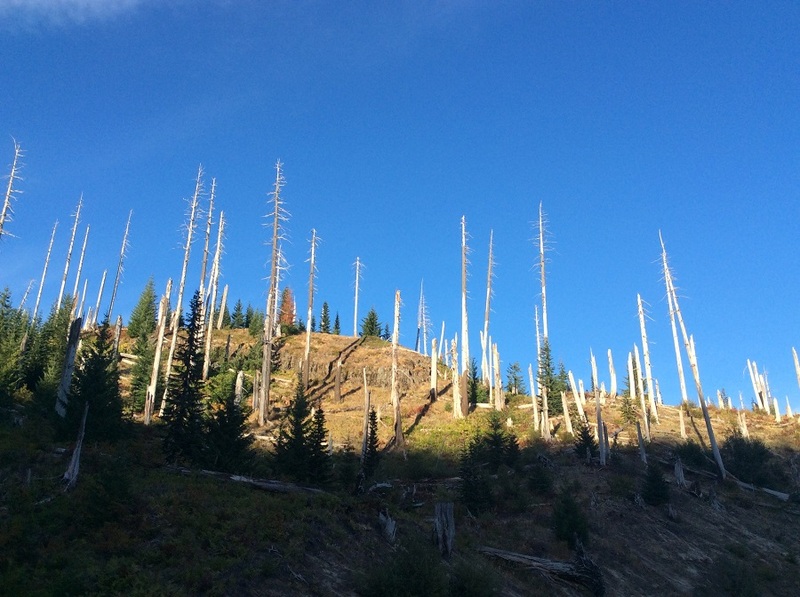 The earth had been violently torn open, then doused in dozens of feet of ash. I’ll never forget the feeling of standing there with ash swirling at my feet and rock slides spilling down into the crater wondering how many years it would take for the area to show signs of life. 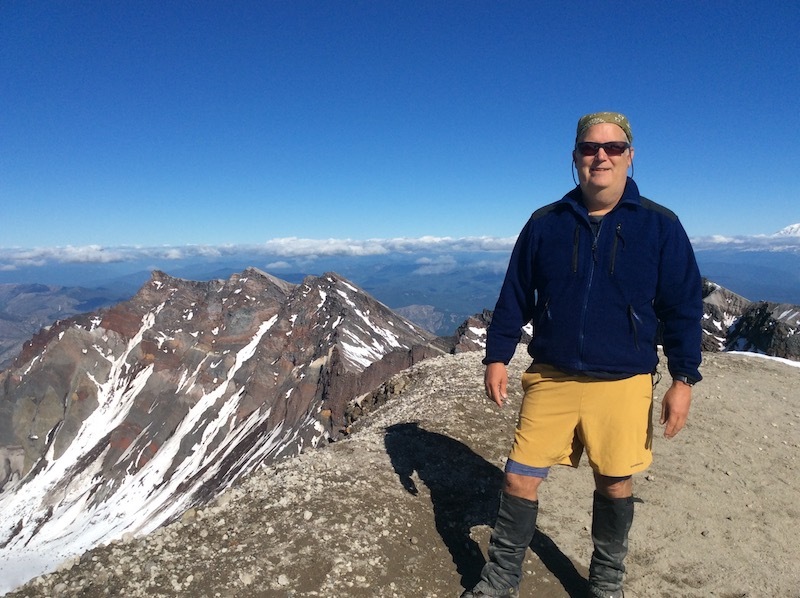 In the years since I climbed Mount St. Helens, I had taken on the 28-year hike of the Appalachian Trail and also written a book about how the AT was conceived and built. With all the focus on eastern U.S. hiking trails, I hadn’t thought about Mount St. Helens in quite a while. In March, 2017, I happened to stumble upon a video featuring old hiking trips. It featured our Mount St. Helens climb. I suddenly realized that 30 years had passed. Before the day was over, I secured climbing permits and booked my flight for a September reunion with the mountain. The comeback the mountain and her surroundings have made is remarkable. There is a lot to learn about resilience in the face of incomprehensible loss, and also about hope. 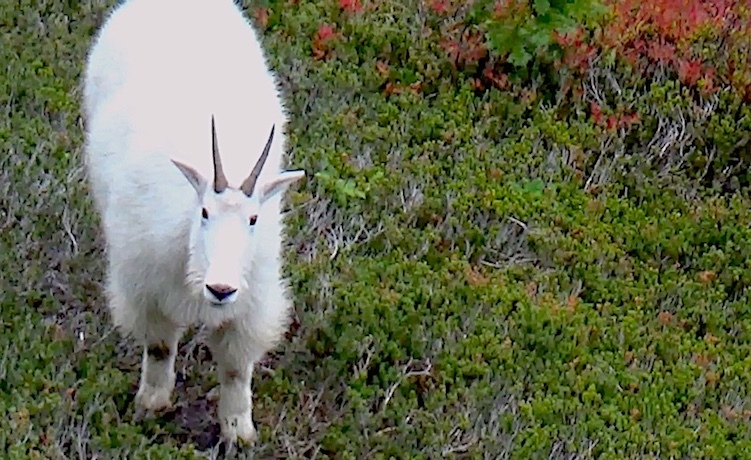 Ten miles from the mountain’s summit, in a place where no living thing survived, herds of elk graze in mountain meadows, alpine flowers bloom and mountain goats roam the rocks. It’s an incredibly uplifting experience. – Many people enjoy hiking but are afraid of long distances. What would you tell them? – Ease into it and be realistic. A long hike is really a bunch of small hikes strung together. 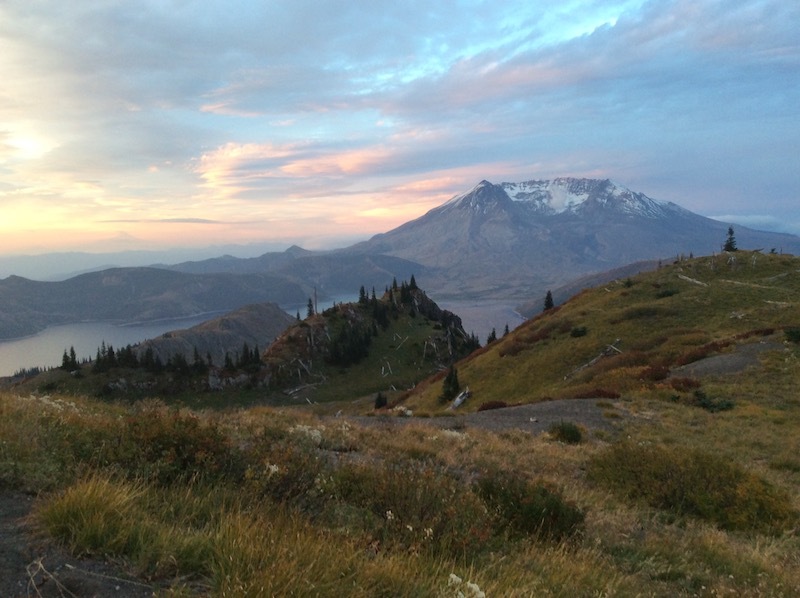 If you haven’t spent a night in the backcountry, I suggest starting out with a loop hike (either going out and coming back to your vehicle via the same trail or using more than one trail that get you back to your starting point again). Choose a trip that lets you camp three or four miles from your starting point. The idea is to get used to your equipment and familiarize yourself with your routine. If you forget something, you will still be within easy striking distance of your car. The biggest mistakes people make when starting out are bringing way too much gear or not being familiar with how their gear works. Regarding the latter, I strongly suggest setting up and taking down a new tent a few times before you leave home. There’s little worse than trying to figure out how to set up a tent in a rainstorm or in the dark. One other thing you should get used to using is your backcountry stove. – What’s your next big challenge? – My hiking buddy, Wayne, and I will be finishing another long distance trail (the New England National Scenic Trail) soon. – Share something inspiring with everyone reading this interview! – The greatest gift you can give yourself — and the people you love — is a mentally and physically healthy you. It doesn’t take much money to spend time outdoors, and even if did, the rewards would far outweigh the cost. Wondering how to choose a good hiking camera? See more.